Leading Palestinian BDS activist and organizer Salah Khawaja was ordered to an additional eight days of interrogation at a hearing at the Israeli military court in Petah Tikva on Wednesday, 9 November, where he was kept blindfolded throughout the hearing. Khawaja, 45, the Secretary of the Boycott, Divestment and Sanctions National Committee (BNC) and a leader of the Palestinian Grassroots Anti-Apartheid Wall Campaign (Stop the Wall), was seized from his home on 26 October by Israeli occupation military forces. Since that time, he has been held under interrogation in Petah Tikva and barred from speaking with a lawyer. His lawyer, Jehad Abu Raya, attended the military court hearing only to continue to be prohibited to speak with his client. Abu Raya noted that Khawaja “looked like he was emerging from a grave” and that he was blindfolded throughout the hearing. In 15 days, Israeli intelligence have conducted 27 rounds of “practically non-stop interrogation” with Salah, reported the Stop the Wall Campaign. In fact, Abu Raya noted that Khawaja has lost weight and is visibly sleep deprived and suffering the effects of over two weeks of ill-treatment and duress. Samidoun Palestinian Prisoner Solidarity Network joins in the call for action in the case of Salah Khawaja and demands his immediate freedom. We urge international action in support of Salah and all imprisoned Palestinians. 2. 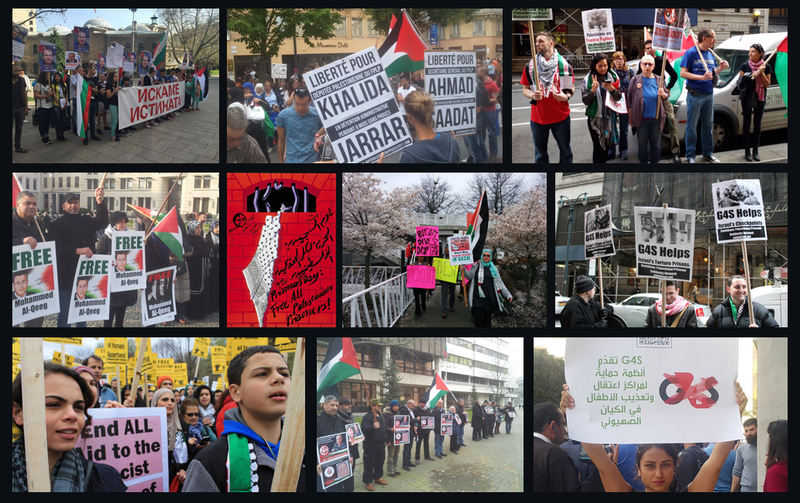 Demand your country’s officials speak up and end the silence and complicity in the detention of Salah Khawaja and other Palestinian human rights defenders, and over 7,000 Palestinian political prisoners. Call your foreign affairs officials – and members of parliament – and urge action on this case. Salah Khawaja, a Palestinian human rights defender, has been arbitrarily detained since 26 October and denied access to a lawyer. Salah is one of the primary Palestinian voices against the illegal settlements and wall destroying Palestinian land. Your government must demand Salah’s immediate release and an end to the persecution of Palestinian human rights defenders by the Israeli state. Israel’s interrogation of Salah at Petah Tikva violates the Fourth Geneva Convention relative to the Protection of Civilians during Times of War, which prohibits the transfer of protected civilians to the territory of the occupying power. Fourth Geneva Convention relative to the Protection of Civilians during Times of War, which prohibits the transfer of protected civilians to the territory of the occupying power. The government must do more than express concern, but should also take serious measures to end these violations. Representatives of your government should attend Salah’s hearings beginning on 6 November, and suspend agreements with Israeli institutions involved in the ongoing imprisonment and oppression of Palestinians.